Sausage, a photo by Nicki Clarkson on Flickr. This is Sausage. 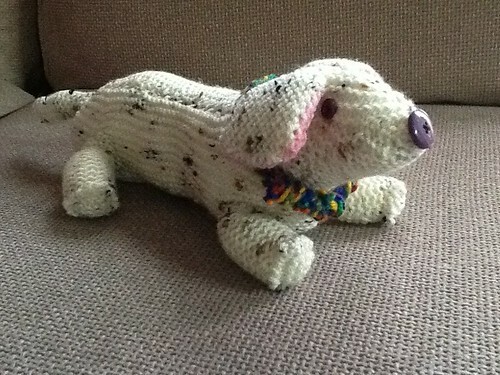 I managed to knit him in between the hectic rounds of celebrity parties that make up my jetset lifestyle. He is not one of the 23 Things!